As promised in September, we have now followed up and distributed our second Transsolar newsletter. It is customized by our New York office for its clients, colleagues, partners, and friends to share quarterly news about interesting projects, ideas, and initiatives. 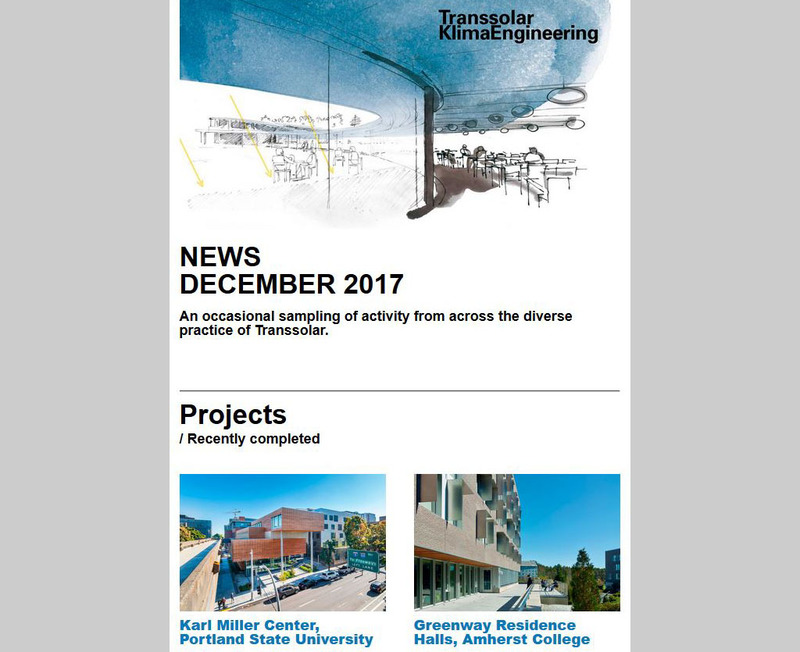 If you want to sign up for these quarterly Transsolar News enter your contact information here.